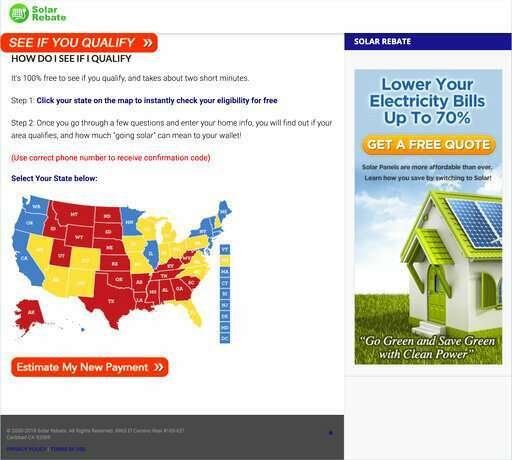 The scam ads used photos of nearly every U.S. governor—and sometimes President Donald Trump—to claim that with new, lucrative tax incentives, people might actually make money by installing solar technology on their homes. Facebook users only needed to enter their addresses, email, utility information and phone number to find out more. While the ads didn't aim to bilk people of money directly—and it wasn't possible to buy solar panels through these ads— they led to websites that harvested personal information that could be used to expose respondents to future come-ons, both scammy and legitimate. It's not clear that the data was actually used in such a manner. The fictitious notices reveal how easily scammers can pelt internet users with misinformation for months, undetected. They also raise further questions about whether big tech companies such as Facebook are capable of policing misleading ads, especially as the 2020 elections—and the prospect of another onslaught of online misinformation—loom. "This is definitely concerning—definitely, it's misinformation," said Young Mie Kim, a University of Wisconsin-Madison professor who studied 5 million Facebook ads during the 2016 elections. "I keep telling people: We don't have any basis to regulate such a thing." Last year, Facebook launched a searchable database that provides details on political ads it runs, including who bought them and the age and gender of the audience. But it doesn't make that information available for other ads. Twitter offers its own database of ads and promoted tweets. 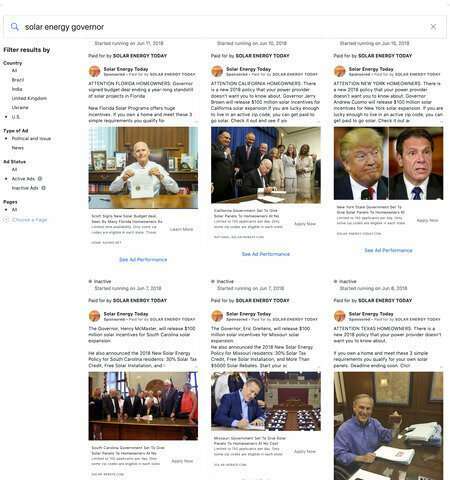 Google has an archive for political ads only. After researching solar-panel options for his two-story home in Mount Tabor, New Jersey, 37-year-old Chris Fitzpatrick saw an ad claiming he might qualify for "free" solar panels because Gov. Phil Murphy planned to release "$100 million solar incentives." He was skeptical because none of the solar companies he worked with mentioned such incentives, but worried others might not be. 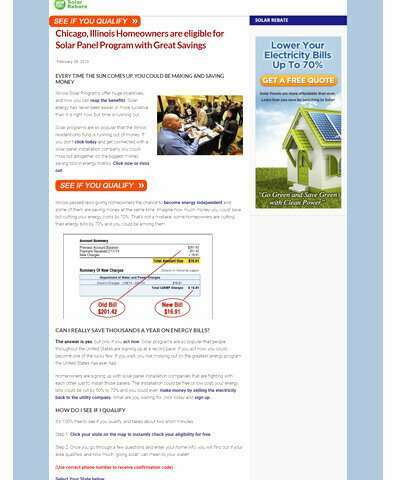 The Associated Press found that some of these ads directed people to solar-energy websites that listed the same business address—a mailbox in Carlsbad, California—that had been used by a company once under investigation by the Federal Trade Commission, the government's consumer protection agency. In 2012, the FTC sued Jason Akatiff and his company—then called Coleadium, also known as Ads 4 Dough—for running fake news websites that marketed unfounded health benefits of colon cleanse and acai berry products, according to court records.